It has been snowing in Seattle since Friday afternoon, over 72 hours now, and it has caused mayhem in the city! Seriously though, we never get this kind of weather in Seattle. The news this morning said Friday’s storm created the 8th snowiest day in Seattle history since 1945. That’s pretty incredible and that being said, we are experiencing record setting weather. Folks in Seattle aren’t used to driving in snow so there is that. But then on top of that, Seattle is made up of hills and curvy, winding roads. Driving in Seattle to begin with is a hot mess and then add snow… It just doesn’t add up. Anywho, Seattleites went nuts. Buying out grocery stores of staples like milk, bread, canned goods, and produce. I waited 40 minutes in line just to purchase groceries and not an ounce of snow had even dropped yet! It was wild! Meat-based Proteins. I always keep a stash of FROZEN protein in the house. This usually consists of salmon, chicken, elk, deer, and fresh fish we caught ourselves. We get the Elk and Deer from friends of ours who hunt responsibly and we feel spoiled to be at the receiving end of it. I usually cook up one of these sources of protein using the ingredients below so read on and see what you can get cooking too! Frozen Produce. I always have frozen fruits and veggies in the freezer. 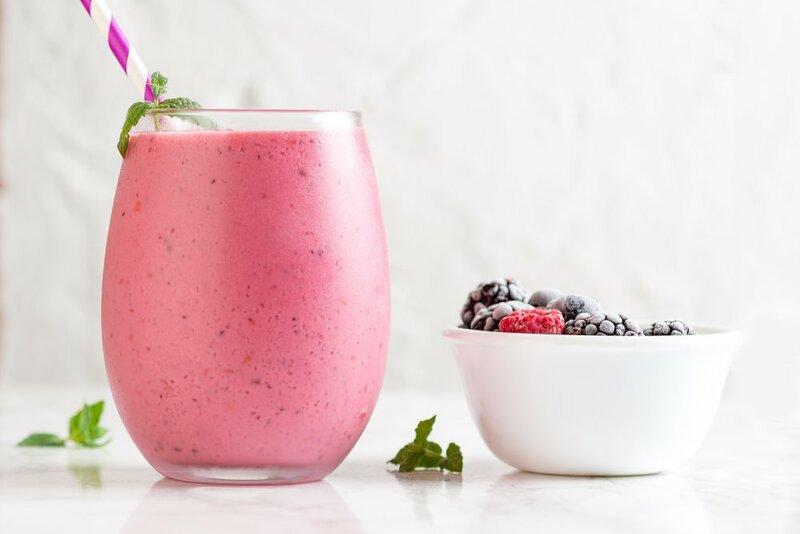 Frozen fruit is great to add to yogurt, make jam with, bake with (think quick crumbles or pies), and is the perfect addition for any protein shake/smoothie. Frozen veggies are great for cooking with because they require no washing, peeling, or chopping; they are ready to go when you are. They are perfect for adding to soups, lightly sautéing as a quick veggie side, or adding to any sort of casserole dish. Onions and garlic. I always keep these two in the house 24/7. Onions and garlic can season just about anything to perfection and are great add-ons in nearly any dish. I honestly use both in just about everything I make. If a dish doesn't start with sautéing onions and garlic in oil, it probably ends with me putting finely diced onions on top or garlic in the dressing. On top of tasting mighty fine, both onions and garlic have some amazing health benefits. Canned Tomatoes – diced, whole, paste, and sauce. Keeping all four of these in the house could be a game-changer alone. I’m not saying you need 100 of each; just 2 to 3 and you should be just fine. All four are great for making any sort of tomato sauce to use on spaghetti, rice, or grits dishes but they are all wonderful for other purposes as well. Rice and Grits. I always keep both on hand. If you aren’t familiar with grits, you may choose to keep pasta in its place and that works great. Or if you don’t do well with rice, potatoes are a good substitute. I just like to keep some sort of starch on hand that I can spruce up at a moments notice. Remember to look past the ordinary uses of these grains; both are great for sweet and savory applications. 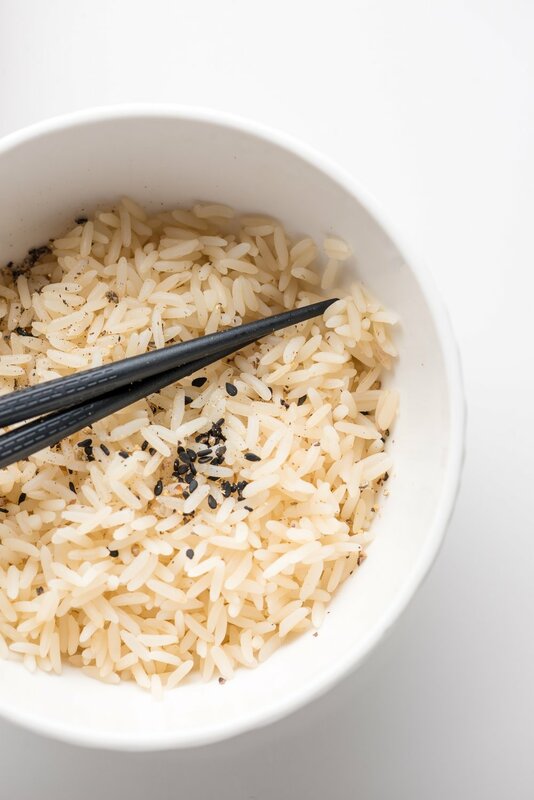 Have you ever made homemade fried rice? Or wild rice soup? What about grits with eggs? Or shrimp and grits? What about deep fried risotto balls or sweet cinnamon grits? See, now you’re thinking!! Protein Powder. When all else fails, you can always make a protein shake. Though not an earth shattering, delicious meal, they definitely fill you up and keep you going. Plus, they are super easy to make a little more exciting: add PB and a banana or a handful of frozen berries to immediately add flavor. Heck, it might even hit the spot! I should also note, sometimes my stomach is simply in a funk. It's a Celiac thing. Whenever this happens and I just don’t feel like eating, a protein shake gives me enough energy to power through and I find it gives my stomach a rest from digesting food. I like to use a plant-based protein but use whatever floats your boat here. Broth or bouillon. They both do the same thing and therefore, I’d recommend one or the other. I prefer bouillon because it allows me to make broth whenever I need it. I find that when I buy already made broth, I don’t always use it before it expires. Whatever you choose, make sure it is GLUTEN FREE. Lots of broth brands have gluten snuck in there. Soooo, broth. Let me state the obvious, it is perfect for making soups. All you need is some broth, frozen veggies, onions, and garlic and BAM! You’ve got soup!! But it does so much more than that. You can cook your grains in broth for extra flavor, you can drink it when you have an upset tummy, you can simmer veggies in it, braise meat with it, or steam fish in it. In winter, I simply stir whisked eggs into hot broth for soup. It really is that easy to work with and has the ability to turn any dish into a flavorful masterpiece. Corn tortillas. I’m not sure a day goes by where we don’t have tortillas in the house. I use tortilla shells for breakfast wraps stuffed with eggs and beans or lunch wraps filled with turkey and veggies. I make tacos, quesadillas, enchiladas, chilaquiles, tostadas, and pinwheels. Tortillas are incredibly versatile and inexpensive: it’s a win-win. Cheese. I am half way laughing at myself for writing this, as whenever I eat cheese I need to take Lactaid. However, I’m just being honest, we always have cheese in the house. I would say our go-tos are Parmesan, Tillamook sharp cheddar, Tillamook sharp white cheddar, and cream cheese. That being said, I’m still totally in love with feta, goat cheese, Gruyere,… oh the list goes on and on. Cheese is the perfect ingredient to make every dish better, which makes me love it and loathe it even more! You can bake it on top of a casserole, incorporate into a salad, melt it for cheese sauce to use in mac n’ cheese or scalloped potatoes, or just have some slices with an apple and call it a meal. Plus, I find whenever I’m cooking for kids cheese helps mask the taste of veggies; it’s a pretty good trick. Eggs. This is pretty much a given in our house since we have a coop full of beautiful chickens but even before this, we were guilty of stocking up on eggs. I probably eat two fresh eggs a day - I can’t help myself - they are so tasty! Plus, they are inexpensive, full of protein, and have iron, zinc, vitamin B12, and copper. As far as cooking eggs go, your options are endless. The other day, for example, I wanted a small protein packed meal after yoga so I fried two eggs in avocado oil and ate them over a bed of fresh arugula, garlic, diced onions, and 4 oz of veggie broth. It was a warm salad if you will and it was superb. You can also scramble eggs, make quiches and frittatas, bake with them, bind with them, dredge meats with them… Eggs are eggscellent! What else can I say? And lastly, before I forget, THE FLAVOR BIBLE is a must-have book. I look at it more than any other cookbook I have ever owned. It a universe full of ideas!! For example, if you have some goat cheese but don’t know what to do with it, you can look it up in The Flavor Bible and they will list about 50 to 100 other ingredients that pair well with goat cheese. It is magical and inspiring and fills in the blanks so you don’t have to. There you have it, 10 gluten free staples I always have in my kitchen plus one of my most favorite books. I won’t lie - this list was really hard to narrow down, so going forward maybe I’ll work up a Must-have Produce, Must-have Pantry, and Must-have Eefrigerated list? What you do think? Comment below and let me know what you want to see, even if it has nothing to do with must-haves!